Rich in plant extracts with soothing and softening virtues as wild thought, chamomile and calendula, Weleda Citrus Hand Cream has been specially formulated for the care and protection of dry and damaged hands. Creamy texture, it prevents dry skin, and allows rough hands to regain their softness. 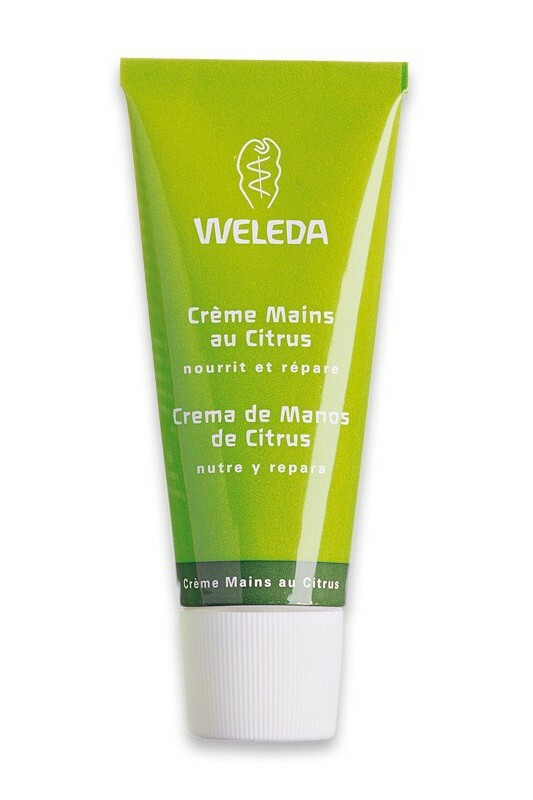 Pleasantly scented with citrus essential oils, Weleda Citrus Hand Cream leaves the skin a delicious fruity fragrance. Apply a small amount of Weleda Citrus Hand Cream massaging your hands and gently rub the product. You can apply it at night before bedtime, and let stand all night. 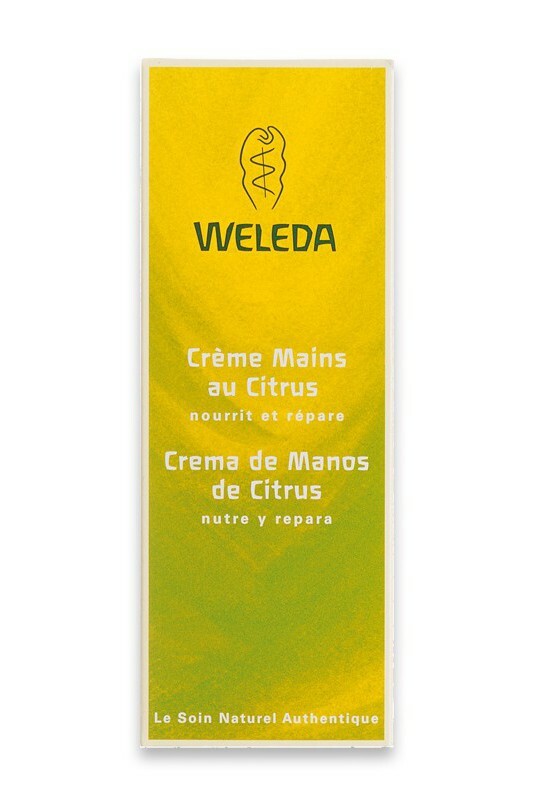 If your hands have been particularly victimized during housework, gardening or DIY, you can also use Weleda Medicinal Plants Creams. Aqua, Prunus Amygdalus Dulcis (Sweet Almond) Oil, Lanolin, Glycerin, Hydrolyzed Beeswax, Viola Tricolor Extract, Copernicia Cerifera (Carnauba) Wax, Rosmarinus Officinalis (Rosemary) Leaf Extract, Chamomilla Recutita (Matricaria) Flower Extract, Calendula Officinalis Flower Extract, Citrus Medica Limonum (Lemon) Peel Oil, Parfum* (Fragrance), Limonene*, Linalool*, Geraniol*, Citral*.